States vary based on who holds power, who elects the empowered, and how authority is maintained. One way to classify these governments is by looking at how leaders gain power. Under this system, governments fall into general categories of authoritarianism, oligarchy, and democracy. Authoritarian governments differ in who holds power and in how much control they assume over those that they govern, but all are marked by the fact that the empowered are unelected individuals. One well-known example of this type of government is a monarchy. An oligarchy is a form of government in which power effectively rests with a small elite segment of society distinguished by royalty, wealth, family, military, or religious hegemony. One common example is theocracy. Democracy is a form of government in which the right to govern is held by the majority of citizens within a country or a state. All members of the society have equal access to power and all members enjoy universally recognized freedoms and liberties. Democratic presidential republic: A system of government where an executive branch is led by a president who serves as both head of state and head of government; in such a system, this branch exists separately from the legislature, to which it is not responsible and which it cannot, in normal circumstances, dismiss. States come in a variety of forms that vary based on who holds power, how positions of leadership are obtained, and how authority is maintained. The United States is a democratic presidential republic: a democratic government headed by a powerful elected executive, the president. The United States originally won its independence from Britain, which was a monarchy, in which power was concentrated in an individual king. Other forms of government include oligarchy and dictatorship or totalitarianism. One way to classify these governments is by looking at how leaders gain power. Under this system, governments fall into general categories of authoritarianism, oligarchy, and democracy. A monarchy is a form of government in which supreme power is absolutely or nominally lodged with an individual, who is the head of state, often for life or until abdication. The person who heads a monarchy is called a monarch. There is no clear definition of monarchy. Some monarchs hold unlimited political power while many constitutional monarchies, such as the United Kingdom and Thailand, have monarchs with limited political power. Hereditary rule is often a common characteristic, but elective monarchies are also considered monarchies (e.g., The Pope) and some states have hereditary rulers, but are considered republics (e.g., the Dutch Republic). Currently, 44 nations in the world have monarchs as heads of state. Totalitarianism (or totalitarian rule) is a political system that strives to regulate nearly every aspect of public and private life. Totalitarian regimes or movements maintain themselves in political power by means of an official all-embracing ideology and propaganda disseminated through the state -controlled mass media, a single party that controls the state, personality cults, control over the economy, regulation and restriction of free discussion and criticism, the use of mass surveillance, and widespread use of state terrorism. An oligarchy is a form of government in which power effectively rests with a small elite segment of society distinguished by royalty, wealth, family, military, or religious hegemony. An oligarchy is different from a true democracy because very few people are given the chance to change things. An oligarchy does not have to be hereditary or monarchic. An oligarchy does not have one clear ruler, but several powerful people who rule. One common example is that of theocracy. Democracy is a form of government in which the right to govern is held by the majority of citizens within a country or a state. The two principles of a democracy are that all citizens have equal access to power and that all citizens enjoy universally recognized freedoms and liberties. There are several varieties of democracy, some of which provide better representation and more freedoms for their citizens than others. However, if any democracy is not carefully legislated with balances, such as the separation of powers, to avoid an uneven distribution of political power, then a branch of the system of rule could accumulate power and become harmful to the democracy itself. Freedom of political expression, freedom of speech, and freedom of the press are essential so that citizens are informed and able to vote in their personal interests. Countries of the World, by Type of Government in 2011: This map shows all the countries of the word, colored according to their type of government. Blue represents full presidential republics, while green and yellow are presidential republics with less powerful presidents. Orange represents parliamentary republics. Red and pink are parliamentary constitutional monarchies, and purple represents absolute monarchies. Brown represents single-party republics, green shows countries where government has been suspended (e.g., military dictatorships), and grey countries do not fit any of the above categories. A monarchy is a form of government in which supreme power is absolutely or nominally lodged with an individual, who is the head of state. Monarchy was a common form of government in the world during the ancient and medieval times. It is less common today, although several monarchies still exist. Modern monarchies often takes the form of a constitutional monarchy, in which the monarch retains a unique legal and ceremonial role, but exercises limited or no political power pursuant to a constitution or tradition which allocates governing authority elsewhere. Most states only have a single person acting as monarch at any given time, although two monarchs have ruled simultaneously in some countries, a situation known as diarchy. diarchy: A form of government where power is shared between two joint authorities. hereditary rule: Hereditary rule is a form of government in which all the rulers come from the same family, and the crown is passed down from one member to another member of the family. A monarchy is a form of government in which supreme power is absolutely or nominally lodged with an individual, who is the head of state, often for life or until abdication. The person who heads a monarchy is called a monarch. 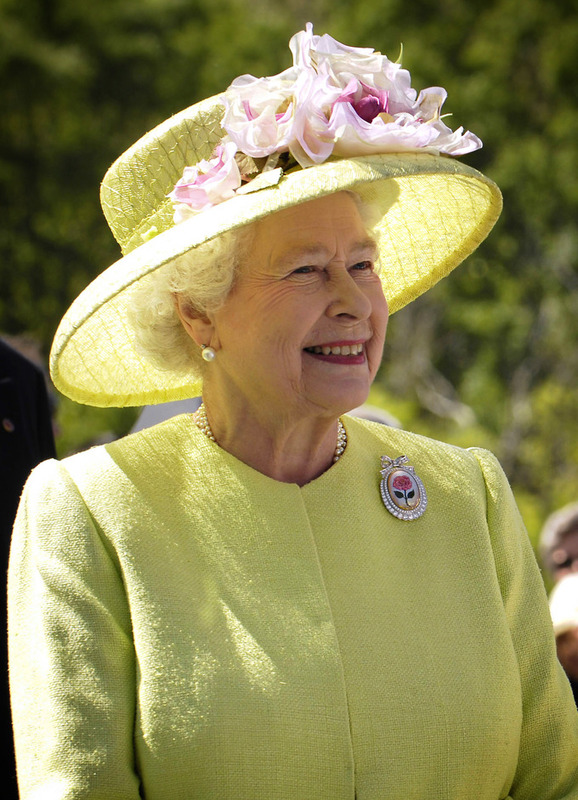 Queen Elizabeth II: Queen Elizabeth II is the monarch of the United Kingdom. Monarchy was the most common form of government into the 19th century, but it is no longer prevalent, at least at the national level. Monarchy now often takes the form of a constitutional monarchy, in which the monarch retains a unique legal and ceremonial role, but exercises limited or no political power pursuant to a constitution or tradition which allocates governing authority elsewhere. Currently, 44 nations in the world have monarchs as heads of state. Of these, 16 are Commonwealth realms such as Canada and Australia that recognize the monarch of the United Kingdom as their head of state. There is no clear definition of monarchy. Even characteristics most commonly associated with monarchies are not universal. For example, monarchies are often though of as highly centralized forms of absolute power. But holding unlimited political power in the state is not the defining characteristic, as many constitutional monarchies such as the United Kingdom and Thailand are considered monarchies yet their monarchs have limited political power. Hereditary rule is often a common characteristic, but some monarchs are elected (e.g., the Pope), and some states with hereditary rulers are nevertheless considered republics (e.g., the Dutch Republic). Most states only have a single person acting as monarch at any given time, although two monarchs have ruled simultaneously in some countries, a situation known as diarchy. Historically, this was the case in the ancient Greek city-state of Sparta or 17th-century Russia, and there are examples of joint sovereignty of spouses or relatives (such as William and Mary in the Kingdoms of England and Scotland). An oligarchy is a form of government in which power effectively rests with a small elite segment of society. Like monarchies, oligarchies may depend on blood relations, but they may also depend on wealth, religion, or military hegemony. In de jure oligarchies, an elite group is given power by the law. For example, the law may give only nobility the right to vote, or a theocracy may be ruled by a group of religious leaders. In de facto oligarchies, those with more resources are able to gain political power, despite laws that ostensibly treat all citizens equally. Some contemporary authors have characterized the United States ‘ current state of affairs as being oligarchic in nature. elite: A special group or social class of people which have a superior intellectual, social or economic status as, the elite of society. An oligarchy is a form of government in which power effectively rests with a small elite segment of society distinguished by royalty, wealth, family, military, or religious hegemony. Oligarchies are often controlled by politically powerful families whose children are heavily conditioned and mentored to be heirs of the power of the oligarchy. These types of states have been tyrannical throughout history, relying on public servitude and complacency in order to exist. States may be oligarchies de jure or de facto. In de jure oligarchies, an elite group is given power by the law. The law may give only nobility the right to vote, or a theocracy may be ruled by a group of religious leaders. In de facto oligarchies, those with more resources are able to gain political power, despite laws that ostensibly treat all citizens equally. One example of this is a corporate oligarchy, or corporatocracy—a system in which power effectively rests with a small, elite group of inside individuals, sometimes from a small group of educational institutions, or influential economic entities or devices, such as banks, commercial entities, lobbyists that act in complicity with, or at the whim of the oligarchy, often with little or no regard for constitutionally protected prerogative. Monopolies are sometimes granted to state-controlled entities, such as the Royal Charter granted to the East India Company, or privileged bargaining rights to unions (labor monopolies) with very partisan political interests. Today’s multinational corporations function as corporate oligarchies with influence over democratically elected officials. Nelson Mandela: In 1994, Nelson Mandela became the first president of South Africa elected in a fully representative election, which marked the end of oligarchic apartheid in that country. 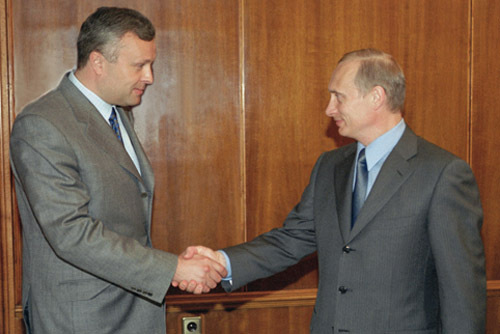 Alexander Lebedev and President Putin: Alexander Lebedev represents a new class of Russian oligarchs, which arose after the fall of communism by taking control of major industries. He is one of the richest people in the world. Dictatorships govern without consent of the people and in totalitarian dictatorships the power to govern extends to all aspects of life. Dictatorship is a form of government in which the ruler has the power to govern without consent of those being governed. Totalitarian governments are those that regulate nearly every aspect of public and private behavior. Dictatorship concerns the source of the governing power (where the power comes from, the people or a single leader) and totalitarianism concerns the scope of the governing power (what is the government and how extensive is its power). totalitarianism: A system of government in which the people have virtually no authority and the state wields absolute control, for example, a dictatorship. dictatorship: A type of government where absolute sovereignty is allotted to an individual or a small clique. Dictatorship and totalitarianism are often associated, but they are actually two separate phenomena. Dictatorship is a form of government in which the ruler has the power to govern without consent of those being governed. Dictatorship can also be defined simply as “a system that does not adhere to democracy,” where democracy is defined as a form of government where those who govern are selected through contested elections. A dictator’s power can originate in his or her family, political position, or military authority. Many dictatorships are also totalitarian. Totalitarian governments are those that exert total control over the governed; they regulate nearly every aspect of public and private behavior. Totalitarianism entails a political system where the state recognizes no limits to its authority, and it strives to regulate every aspect of public and private life wherever feasible. Totalitarian regimes stay in political power through all-encompassing propaganda campaigns (disseminated through the state-controlled mass media), a single party that is often marked by political repression, personality cultism, control over the economy, regulation and restriction of speech, mass surveillance, and widespread use of terror. In other words, dictatorship concerns the source of the governing power (where the power comes from—the people or a single leader) and totalitarianism concerns the scope of the governing power (what is the government and how extensive is its power). In this sense, dictatorship (government without people’s consent) exists in contrast with democracy (government whose power comes from people) and totalitarianism (where government controls every aspect of people’s lives) exists in contrast with pluralism (where government allows multiple lifestyles and opinions). 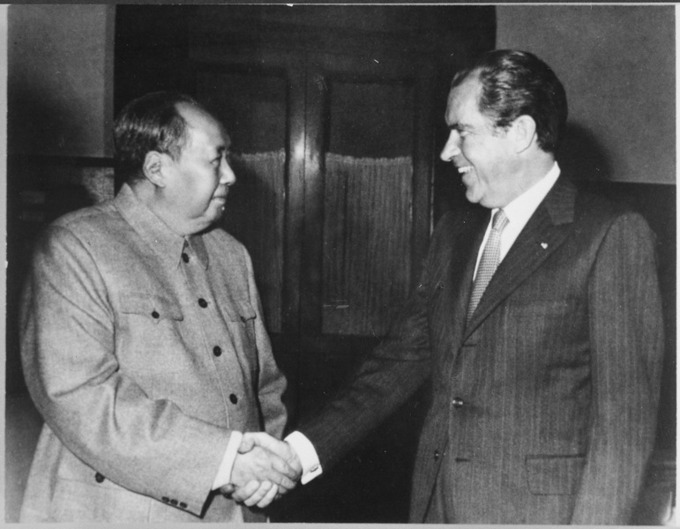 President Nixon and Mao Zedong, 1972: In 1972, Nixon traveled to China and met with Mao Zedong, the leader of the totalitarian Chinese Communist Party. Democracy is a form of government in which sovereignty is held by the majority of citizens within a country or a state. Democracies come in several forms, though all have competitive elections and freedoms of expression. Democracies must balance conflicting obligations to try to maximize freedom and protect individual rights. In most democracies, citizens are represented by elected lawmakers charged with drafting and voting on laws. representative democracy: A policy under the rule of people acting on the behalf of and, to a lesser extent, in the interests of the voting blocks by which they were elected. separation of powers: A theoretical model for governance, common in democratic states, which features the division of sovereign power into at least three (but sometimes up to six) organs of state in order to forestall tyranny, by preventing the acquisition of a monopoly of power by a monarch or oligarchy; also, such an arrangement. tyranny of the majority: A situation in which a government or other authority democratically supported by a majority of its subjects makes policies or takes actions benefiting that majority, without regard for the rights or welfare of the rest of its subjects. Democracy is a form of government in which the power of government comes from the people. More formally, we might say that in democracy, the right to govern, or sovereignty, is held by the majority of citizens within a country or state. Even though there is no universally accepted definition of democracy, all definitions include two fundamental principles: First, in a democracy, all citizens have equal access to power. Second, all citizens enjoy universally recognized freedoms and liberties. Democracies come in several forms, some of which provide better representation and more freedoms for their citizens than others. An essential process in representative democracies is competitive elections that are fair both substantively and procedurally. Furthermore, freedom of political expression, freedom of speech, and freedom of the press are essential so that citizens are informed and able to vote in their personal interests. Democracies must balance conflicting obligations to try to maximize freedom and protect individual rights. For example, many democracies limit representation. In a full, direct, democracy, every citizen would be able to vote on every law. But in reality, in most democracies, citizens are represented by elected lawmakers charged with drafting and voting on laws. Many also institute measures such as the separation of powers, which divides executive, judicial, and legislative authority among different branches of government to protect against the possibility that a single government or branch of government could accumulate too much power and become harmful to democracy itself. Although such measures may limit representation, they make lawmaking more efficient and help guard against dangers such as the tyranny of the majority. Although majority rule is often described as a characteristic feature of democracy, without responsible government it is possible for the rights of a minority to be abused by the tyranny of the majority, in which a majority institutes policies abusive to a minority (for example, a racial majority may deny a racial minority access to education, housing, jobs, or other resources). Electoral Democracies: This map depicts electoral democracies around the world, as judged by Freedom House in 2006. Different colors indicate different forms of democracy. Orange countries are parliamentary republics. Green, yellow, and blue are presidential republics with less (green) or more (blue) presidential power. Red are parliamentary constitutional monarchies in which the monarch does not personally exercise power. States are not necessarily the same as nations. New state spaces are redefining borders, and they may not be ruled by national governments. A global city is a city that is central to the global economic or cultural system, such as New York or London. Not only are global cities important economically, but they are also politically unique. In some ways, global cities are more intimately connected to the global economic system and to other global cities than they are to surrounding regions or national settings. Another example of a new state space is seen in regional and international governments such as the European Union. State power is not restricted to the national level. New state spaces are evolving at both the local level (global cities) and the international level (the European Union). European Union: A supranational organization created in the 1950s to bring the nations of Europe into closer economic and political connection. At the beginning of 2007, 27 member nations were Austria, Belgium, Bulgaria, Cyprus, Czech Republic, Denmark, Estonia, Finland, France, Germany, Greece, Hungary, Ireland, Italy, Latvia, Lithuania, Luxembourg, Malta, The Netherlands, Poland, Portugal, Romania, Slovakia, Slovenia, Spain, Sweden, United Kingdom. Global city: A global city (also called world city or sometimes alpha city or world center) is a city generally considered to be an important node in the global economic system. Political borders: A border is a geographical boundary of political entities or legal jurisdictions. For the last couple centuries, states have been largely coterminous with nations: the two tend to overlap. But states are not necessary the same as nations, and state boundaries will not necessarily always be the same as national boundaries. Recent sociological work has argued that, with globalization, relevant political borders are changing. This branch of sociology defines new state spaces as geographical spaces that are not governed simply by national governments. Instead, they may be more directly influenced by local, regional, or even international governmental bodies. One of the most prominent theories in this field is that of global cities. A global city is a city that is central to the global economic system, such as New York or London. According to global cities theory, globalization is not a process that affects all places evenly. Globalization is carried out by certain cities, which can be arranged in a hierarchy of importance. Some of these cities are absolutely central to the operation of the global economic system, and some are more peripheral. The most complex and central cities are known as global cities. Not only are global cities important economically, but they are also politically unique. In some ways, global cities are more intimately connected to the global economic system and to other global cities than they are to surrounding regions or national settings. In general, global cities tend to actively influence and participate in international effents and world affairs. They may be national capitals, or they may host the headquarters of international organizations such as the World Bank, NATO, or the UN. They also tend to have large expatriate communities, groups of people from other countries, who give the cities a cosmpolitan flair and also increase the relevance of foreign political events for global cities. Another example of a new state space is seen in regional and international governments such as the European Union. The European Union is a confederation of 27 European states. It was originally formed to encourage and enable economic cooperation, but has grown to have a good deal of political power, most notably directing a Common Agricultural Policy for member states. Thus, citizens of European countries are governed not only by local and national states, but also by the European Union. 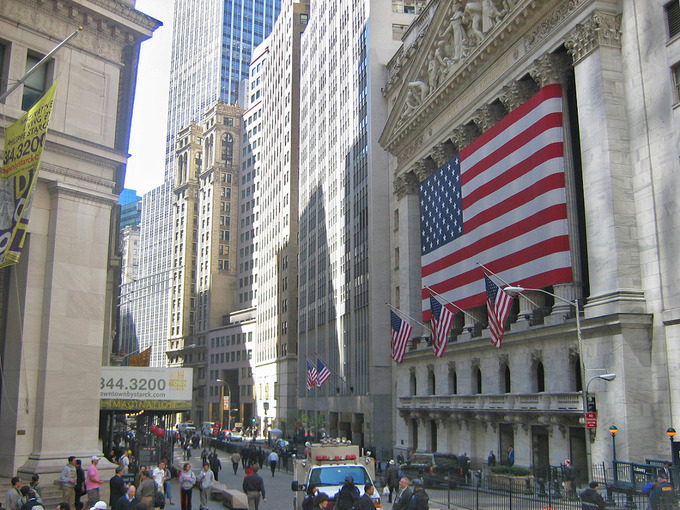 New York Stock Exchange – Wall Street: New York is global city, central to the global economy.